For an initiative on social responsibility for social empowerment through S&P Kitchen for Kids Project, which has been continuously improving the canteens for the up-country schools. 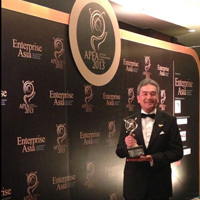 Mr. William NG, the President of Enterprise Asia, presided over the ceremony and presented the award at Banyan Tree Hotel, Macau. From University of Thai Chamber of Commerce and ARIP Co., Ltd. His Excellency Prof. MD. Mr. Kasem Watanachai (Privy Councilor), presided over the ceremony and presented the award at Marriott Hotel, Sukhumvit. 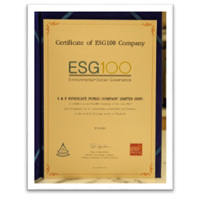 To confirm that S&P has the distinction for excellence in business operation, environment, social, and good governance. 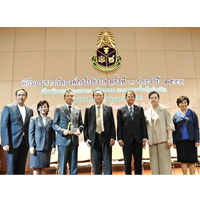 Dr. Pipat Yodprudikan, the Director of Thaipat Institute, presented the award at S&P Syndicate Public Company Limited. 5. 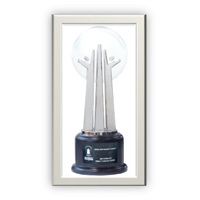 Central Chaengwattana, awarded for winning the Silver Class. 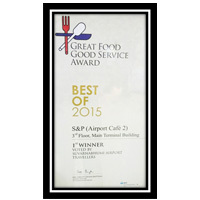 Suvarnabhumi Airport and King Power Suvarnabhumi Co., Ltd. organized a ceremony for presenting an award to the three best restaurants with excellence services at the Suvarnabhumi Airport or Great Food Good Service Award 2015. S & P (Airport Café 2) was granted the Certificate of Gold Award and THB 30,000 because of the satisfactory votes casted by both Thais and foreigners more than 4,000 persons amongst 80 restaurants. 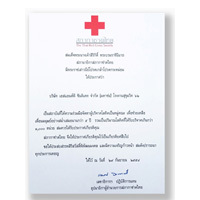 The Sukhumvit 62 Bakery Factory of S & P Syndicate Public Company Limited was awarded an honorable certificate fromThe Thai Red Cross Society by Her Royal Highness Princess Somsawalee because the Factory has continuously arranged the blood donation for 9 years, 4 times per annum. The total blood units donated are more than 1,000 units. 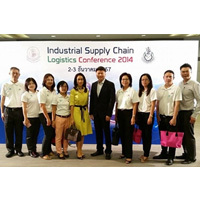 At Industrial Supply Chain Logistics Conference 2014 organized by Bureau of Logistics, Department of Primary Industries and Mines, Ministry of Industry, Mr. Pramode Vidtayasuk, Vice Minister for Industry Ministry of Industry presented the award at BITEC Bangna. Office of the National Anti – Corruption Commission by Mr. Panthep Klanarongran, NACC President, presided over and presented the award at the NACC Office, Nonthaburi 1 Room. Mr. Pravesvudhi Raiva, Chief Executive Officer of S & P Syndicate Public Company Limited received the Outstanding Entrepreneurship Award for the excellent entrepreneur from Enterprise Asia. 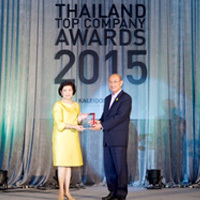 • On 27 January 2014, the Company has been awarded Thailand Top Company Award 2014 under food and beverage category from University of Thai Chamber of Commerce in collaboration with ARIP Co.,Ltd. Thai Cuisine in Bangkok has been selected from Thailand Tattler to received this award. In addition, Patara Restaurant was also voted to be “The Winner of an Excellent Service” from TripAdvisor of the Year 2014. The votes have been collected from the customers of TripAdvisor. 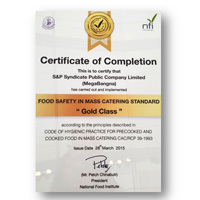 These achievements have once again guaranteed the quality of food taste and service. • The Company has been awarded the outstanding workplace for Thai tourism standard and tourism standard under category “The Food Service for Tourism Industry” of the Year 2012 and 2013 from the Department of Tourism. The award ceremony was held on 30 April 2014. • The Company has been awarded “World Class Food Safety Standard Mass Catering Award” from the 2nd Thailand Culinary World Challenge 2014 event on 1 August 2014 at Lan Morakot, Central Chidlom. • Our food factory in Ladkrabang has been certified for its food production line in 6 systems namely GMP, HACCP, ISO9001, ISO22000, IFS and BRC whereby its quality standard was uplifted to BRC Issue 6 and IFS version 6 in 2012 for high quality and safety of frozen products for our consumers. In order to expand business opportunity to European Union and other countries, we are in progress to enhance the factory standard for frozen products containing chicken as per Department of Livestock Development (EST Number). This is planned to be complete in 2013. • The Company has been awarded “Thai Select” by Department of International Trade Promotion: “Patara” for premium dining category, “S&P” Suvanabhumi outlet for restaurant category and export product category (Quick Meal frozen food and dessert). The “Thai Select” award is to certify and ensure Thai authentic taste and an international standard of production process. 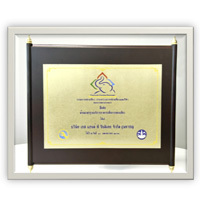 • The Company has been awarded the “Workplace Learning Award” from Department of Skill Development, Ministry of Labor. • The Company has been awarded from Bankhai Technical College, Viroon Business Administration and Technological College and Loei Vocational College regarding the adoption and support the Dual Vocational Education.